Head on over to Walmart.com or Amazon where you can score this highly rated Lifetime 6′ Fold-In-Half Commercial Table for only $44.98 shipped! 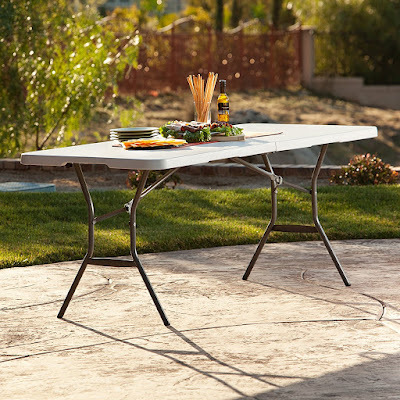 Built for indoor and outdoor use, this table has a convenient folding design for easy transport and storage and is UV-protected so it will not crack, chip or peel. Grab one for your next get together or even for the garage!